Gibson Opticians is a modern, independent opticians providing traditional values and services combined with the latest technology and products. With over thirty years experience in the optical industry we have continually modernised and updated premises and technology to ensure our patients receive the highest quality of care. Our patient focused staff will go that extra mile to ensure a personal service tailored to your individual needs. We stock a large selection of designer, mid range and budget frames, contact lenses, sunglasses, magnifiers and accessories. 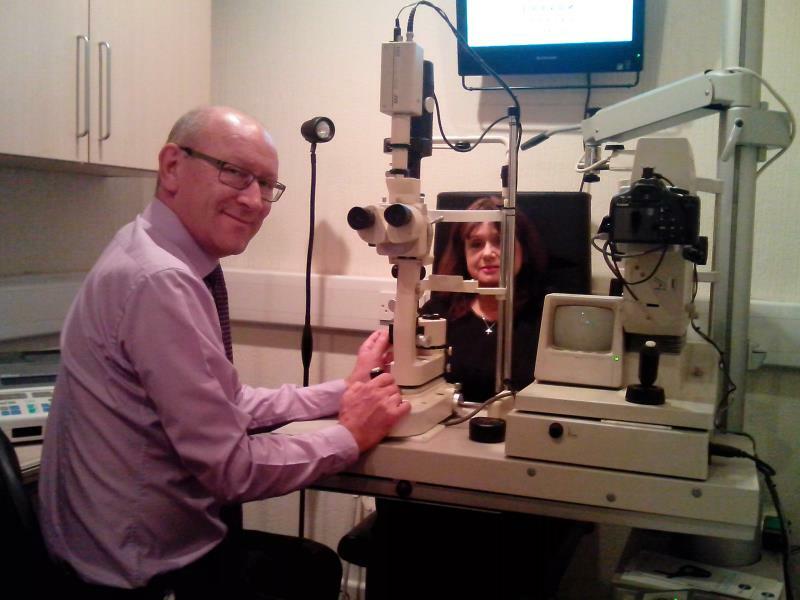 Gibson Opticians participates in NHS Grampian's Eye Health Network. Michael Gibson is the owner and Optometrist with Gibson Opticians. Following his graduation from Aston University in 1983 with BSc in Optometry, he returned to his native Aberdeen. In 1987 he started his own practice with his father James. A major renovation and modernisation of the premises and equipment was undertaken in 2007 resulting in high quality premises and state of the art equipment. Michael says "our aim is to ensure that each patient leaves the practice confident in the clinical care they have received and feels they have been given an excellent service in terms of their choice of eye wear". Michael is registered to remove corneal foreign bodies and co-prescribe as part of the Eye Health Network Local Enhanced Service. In his spare time Michael likes to spend time with family, play golf and ski. Michael is testing on Monday, Tuesday, Wednesday and every other Saturday. Rosie Strudwick grew up in Northern Ireland and studied at the University of Ulster at Coleraine, qualifying as an Optometrist in 2009. After a brief spell working in Northern Ireland Rosie came to Aberdeen in 2006. Since then she has married an Aberdonian and balances life with two preschool aged boys by working at Gibson Opticians on a Thursday. As well as carrying out all eye examinations and contact lens assessments she is accredited to remove corneal foreign bodies and to provide emergency eye assessments care within the Grampian Eye Health Network scheme. Outside of work Rosie enjoys spending time with her family and friends, and some retail therapy! Rosie is testing on Thursday. Marta Niechwiadowicz is a qualified Optical Assistant. 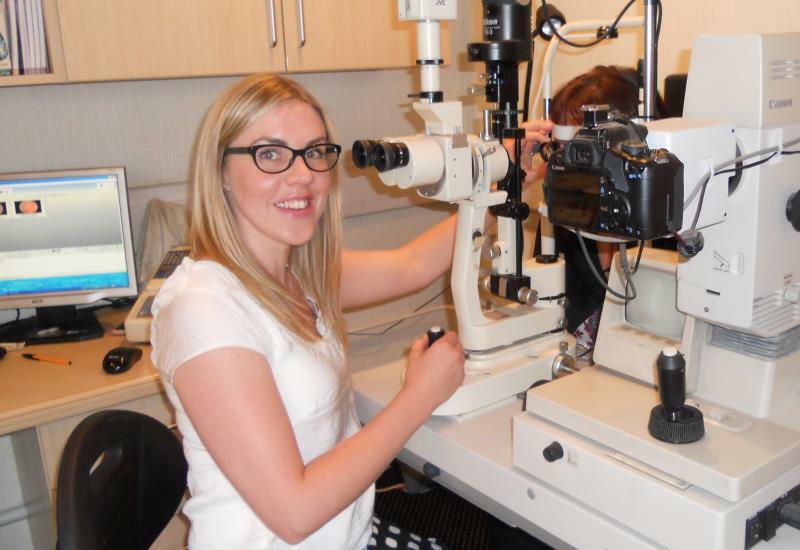 A native of Poland, she trained in Hull and joined Gibson Opticians in 2014. She feels that Gibson Opticians with its relaxed and friendly environment and fantastic group of work colleagues is a great place to work. Along with Lisa, Marta is involved in selecting a wide range of frames that will suit all tastes. 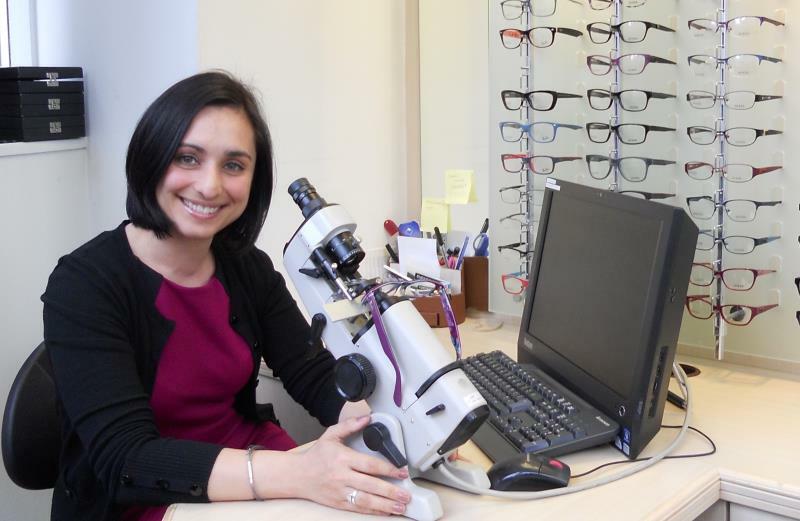 As an experienced Optical Assistant she is happy to give you professional guidance on what lens choice are available and what frames would suit you and your prescription. Marta is working hard to ensure that Gibson Opticians provide a uniquely personal service with a great level of continuity of care. Outside of work hours, Marta enjoys hiking and exploring Scottish countryside. Lesley Murray is the practice Book-keeper/Receptionist. Lesley has worked with the practice since 2008 and as her title suggests she not only works at reception but does the book-keeping as well. 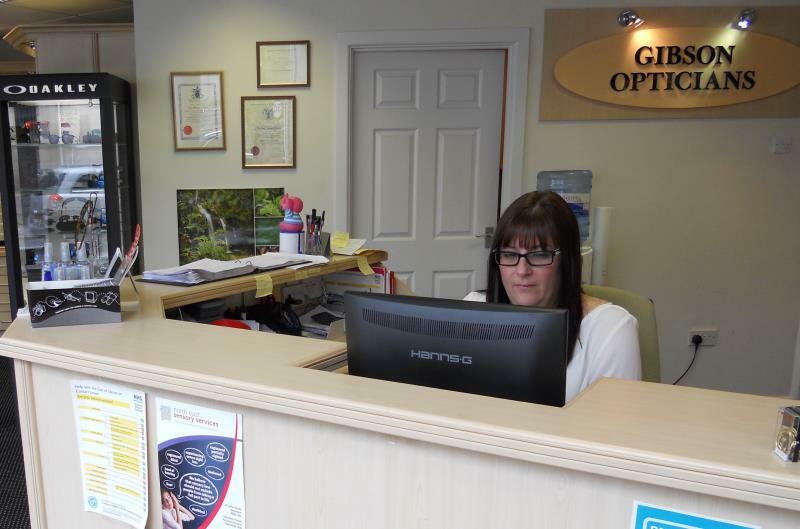 Lesley says "I enjoy all aspects of administration within the practice but my main aim is to make sure everyone feels welcome and to ensure that a visit to the optician is a friendly, helpful experience where everyone is put at ease". Outside of work hours, Lesley enjoys shopping and spending time with her family. Suzanne Byers is one of our practice receptionists. She has been with us for over three years now and will be happy to greet patients old and new, book appointments and assist patients with frame selection. Suzanne is also responsible for designing our window displays, ensuring up to the minute frames are on show to tempt you in!